If you’ve struggled to lose weight and keep it off, you know it isn’t just as simple as trying the latest diet. Being fit and healthy is God’s will for you. So, don’t give up! 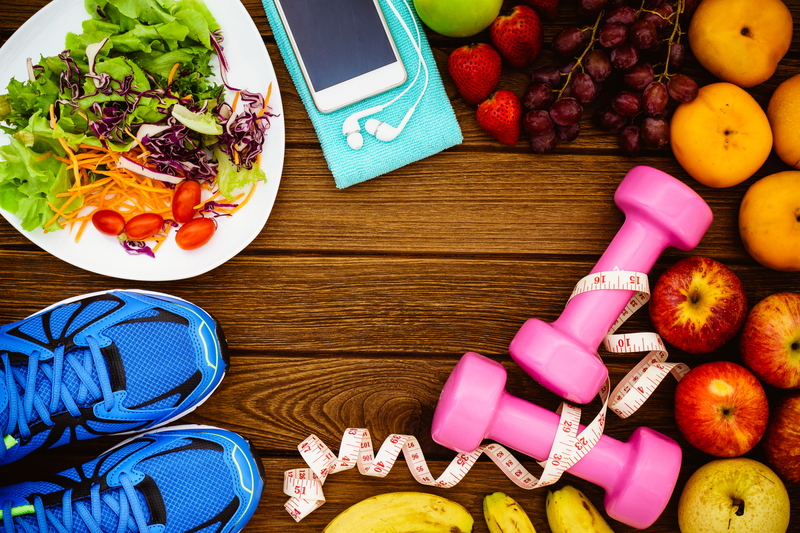 If you’re ready to lose weight God’s way and become healthy for His service, try these simple tips to help you reach your goals. Your body is not your own. You were bought with a price—the precious blood of Jesus. God calls your physical body His temple (1 Corinthians 6:19), and He has given you stewardship over it. To do this, you must honor God with the decisions you make each day. Honor Him by choosing life-giving foods for your body. Honor Him by exercising His temple and keeping it strong. You can take back your temple from years of poor eating and exercise habits; and enjoy strength, energy and a healthy weight! Break food addiction for good. It isn’t something the Church talks about much, but the truth will set you free (John 8:32). Gluttony—or overeating—is sin. In fact, the drunkard and the glutton are mentioned together in Proverbs 23:20-21. According to Dr. Don Colbert, people become addicted to sugar, carbs and starches, which are all proven to cause disease in the body. How can you break food addiction? You can break food addiction with the help of the Holy Spirit. Lay poor food choices on the altar. Ask God for supernatural help to walk away from them and overcome addiction. Use the fruit of the spirit—self-control—and say no. If you are getting ready to attend a social function, visualize yourself ahead of time saying “No, thank you,” when offered something unhealthy. Click here to get Dr. Colbert’s Confession to Overcome Sugar Addiction. Dr. Colbert suggests 1,500 calories per day for women and 2,000 calories per day for men, when trying to lose weight. So, be sure your calories aren’t exceeding these amounts. No matter what challenges you’ve faced in your past, you can be free of food addiction! You may have grown up having dessert every day, or in a house full of junk food. It may seem like a normal way of life to you. But, if you really want to lose weight and become healthy for God’s service, you’ve got to renew your mind to the truth in His Word. Make a study of His Word part of your weight loss plan. When you begin to renew your mind to how God sees you, you won’t want to turn to food for comfort anymore. Then, speak the Word over your weight loss. We overcome the devil and any obstacle by the blood of the Lamb and the word of our testimony (Revelation 12:11). So, don’t speak against your weight loss! Dr. Don Colbert shared on a BVOV broadcast the dangers of sugar and its role as fuel for major diseases like cancer, diabetes and Alzheimer’s. It is also the main cause of weight gain in America! Sugary foods and drinks have no nutritional value and only cause harm to your body. To lose weight, reduce sugar intake significantly. You’ll not only lose weight—you’ll have more energy! When you take back your temple, break food addiction, renew your mind, reduce sugar intake and have proper testing, you’ll be well on your way to losing weight God’s way! You were meant to walk in total victory over your weight and your health. Take these steps and expect to have the best years of your life! To learn more about health from Dr. Colbert, be sure to watch these broadcasts. Disclaimer:You must not rely on the information on this website as an alternative to medical advice from your doctor or other professional healthcare provider. If you have any specific questions about any medical matter, you should consult your doctor or other professional healthcare provider. If you think you may be suffering from any medical condition, you should seek immediate medical attention. You should never delay seeking medical advice, disregard medical advice, or discontinue medical treatment because of information on this website.